Recycle Ticonderoga, Prang, and Lyra art supplies and writing instruments through this program. 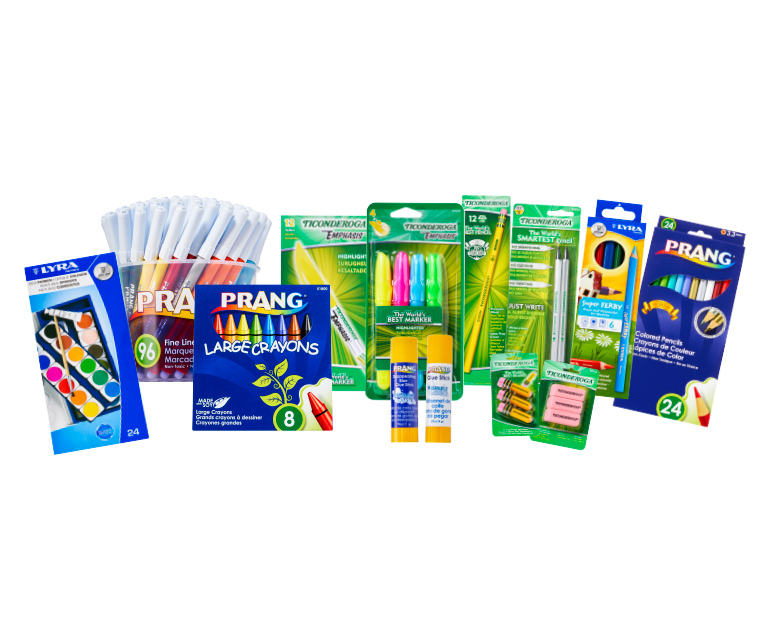 TerraCycle® and Dixon have partnered to create a free recycling program for Ticonderoga, Prang, and Lyra art supplies and writing instruments. 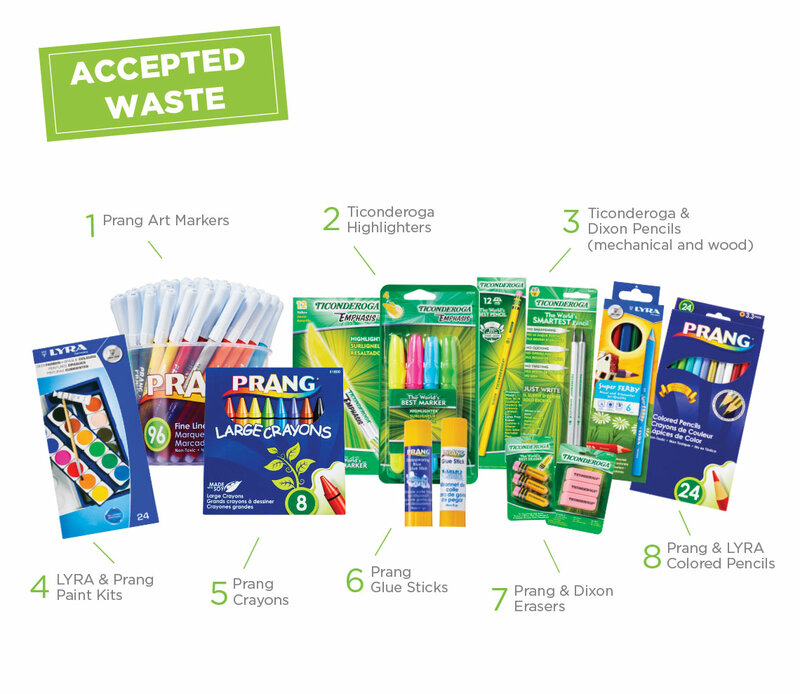 Program accepted waste: Prang Art Markers, Ticonderoga Highlighters, Ticonderoga & Dixon Pencils (mechanical and wood), LYRA & Prang Paint Kits, Prang Crayons, Prang Glue Sticks, Prang & Dixon Erasers, and Prang & LYRA Colored Pencils.